Dimensions 0.25 by 7.25 by 9.25 in. Amazon.com description: Product Description: Born in the waters off Hawaii, a baby humpback whale grows up in the safety of the lagoon, where she practices swimming techniques, gains her layers of much-needed blubber, and enjoys high-spirited play with other whale youngsters. 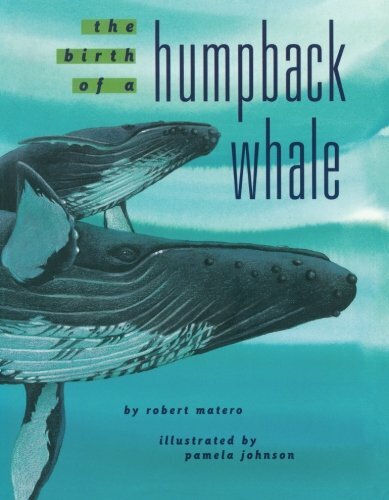 With Pamela Johnson (other contributor) | Reprint edition from Simon & Schuster (October 21, 2014); titled "The Birth of a Humpback Whale"
About: Born in the waters off Hawaii, a baby humpback whale grows up in the safety of the lagoon, where she practices swimming techniques, gains her layers of much-needed blubber, and enjoys high-spirited play with other whale youngsters.